Nowadays “social commerce” is such a phenomenon that is trying out by numerous e-commerce sites that enable users to login with social media platforms such as Facebook or Twitter accounts, but some of the new startups initiating with innovations to take it a step further by creating such sites where ‘social’ is equivalent to the ‘commerce’. Nevertheless, bringing the social aspect in buying is being implemented in various new ways and this is going to evolve since buying is after all a social activity. Social media is not about technology, it is about the social science. The people, relationships, and the meaningful actions between them brings the value to social media. To provide with the best online shopping experience possible number of new enhancements will be geared towards delighting customers. Various sites are trying to simulate the real life shopping experience – as in real life people discover brands, products and trends through friends and family while talking and interacting with them and share their opinions before the actual purchase likewise various eCommerce sites like BuynBrag, Koolkart, Teritree and LimeRoad are trying to mimic the offline shopping experience online. This is true social shopping. The opinions, actions and views of friends and family members play a vital role in influencing the consumers. As a social referral platform it provides an opportunity to businesses to increase referrals, revenue and conversions with custom offers and suggestions by turning their order confirmation page into a social tool. In turn it will not only expand the site’s consumer base, but also a person’s personal shopping circle by sending recent purchase information to a customer’s friends and family. Sometimes a consumer may find themselves at a point of indecision during the new customer journey at that point of uncertainty where consumers do not know what to do next, social proof kicks in to see what others are doing or have done. Wish lists, popularity lists, social sharing, reviews, and social recommendations become paramount to influence users’ decisions. So far online shopping is considered, as an isolated experience where consumers visit a website of the retailer, find a product of interest and make purchase but now the social commerce sites want to change this phenomenon and trying out hard to come up with new innovative enhancements. 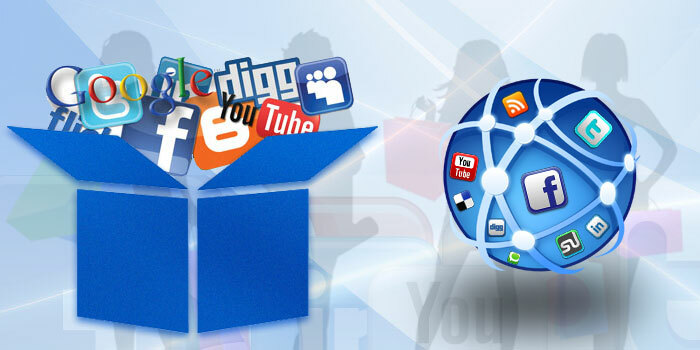 Social media has become quite powerful as experts also suggest that social commerce sites are trying to drive sales by leveraging the rise of online social networking. The power of suggestion or network effect gets multiplied at such a yielding level that it has a profound effect on sales. One of the social commerce sites that targets women is LimeRoad that is founded earlier this year. The aim of this site is to bring the joy of shopping with friends online. To fulfill this aim it provides with the facilities where users can pick products from various categories and create collections and share them with friends. There is another site Teritree Technologies, Bangalore-based that is taking it to a step further and facilitates its users by providing an option where they can start a live conversation with friends on its site, which is in its beta version. The one more example of social commerce sites evolvement is its mobile apps that allow users to take photos of the clothes they have tried on, upload them and conduct instant polls with friends and to make a purchase decision. Ranosys Technologies keenly engages in fulfilling the requirements of such social commerce sites that are trying to create a new trend in online shopping. The expertise of the development team of Ranosys Technologies Pte Ltd provides well suited and tailored tools to deliver interactive and user friendly online shopping experiences.